In the ongoing decline of print journalism even major, seemingly iconic publications like The New York Times and The Boston Globe are making deep cutbacks to their arts coverage. Not long ago The Times announced that it would no longer cover regional arts beyond the Metropolitan area. That means zero reviews for arts organizations and theatres in New Jersey, Connecticut and the Berkshires. There is a direct connection between reviews and ticket sales. Next summer Berkshire arts organizations will have to revise their media strategies. It has also been evident that the Boston Globe will not be covering the western part of the Commonwealth with the regularity which particularly has been a boost to the major equity companies. Closer to home the Globe has delivered a devastating blow to the community of Boston's fine arts galleries. The Globe has Pulitzer Prize winning critic, Sebastian Smee, covering museums. The gallery beat has long been the domain of Cate McQuaid. Now gallery coverage has been cut to the bone. The other daily, The Boston Herald, gutted its arts coverage ages ago. Essentially that means that arts organizations will be ever more reliant on coverage by high end blogs like The Arts Fuse, Big Red and Shiny and other diverse sites. Berkshire Fine Arts has long covered the arts in Boston including theatre and design reviews by Mark Favermann and opera coverage by David Bonetti. Below is a petition being circulated by Kingston Gallery to request that the Globe reinstate gallery coverage. The news that the Boston Globe has eliminated Cate McQuaid's weekly gallery column, including multiple reviews of art gallery exhibitions throughout the Boston area, has sent shock waves through the visual art community. Instead, there will be one review per week of about 300 words, and various feature articles by McQuaid. We, the undersigned, believe that Boston deserves better. With the burgeoning gallery scene and Boston mayor Marty Walsh's promise to make the arts a more prominent part of the fabric of the city, it is astounding to us that the Globe has chosen this moment to cut back its coverage of this important cultural sector. City Hall wants Boston to be as well-known for the arts as it is for sports. The Globe's decision is a step backwards to that goal. We all understand now how galleries, and especially the artists they represent, help to create desirable neighborhoods and foster economic and tourist activity. They also put on "the best free show in town" open to all. Considering the frequency with which most galleries change their exhibitions, it is important for the public to have access to timely information about shows of note. Reviews are calls to action. What do I want to see this weekend? What show should I go to before it ends? Feature articles are more passive. 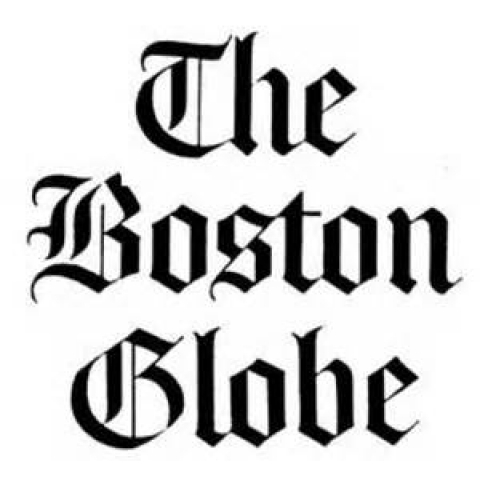 We call for the Boston Globe to reinstate Cate McQuaid's weekly gallery column, including multiple reviews, in order to better reflect the richness of Boston's gallery scene and to better serve the readership that looks to the Globe as a source of information. "Thanks for the link to the petition."